What is thinking? Where do your thoughts come from and how do you decide what to think? Most of us are walking around, performing our daily tasks, and doing things without thinking. That’s a scary thought. In fact, what most of us are doing is performing a mental activity, but we are not truly thinking. The amazing thing about you as a person is that you have the ability to think about anything you want. No one but you can control what you think about. Outside influences can put ideas in your head, or tell you what to think about but ultimately you are the only one who can make that decision. You are the only one who can choose your thoughts. 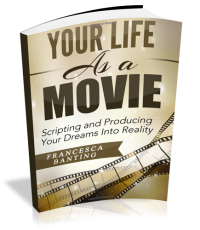 What if I told you that the process of your thinking is determining the results in your life? Would you think more about what you are thinking? I hope so. Especially if you are not happy with the current results in your life. You have thousands of thoughts a day, many that you don’t even realize you are having. With so many thoughts, how can anyone control the outcome in their life? It’s easy. When you focus on a particular thought, one main idea, you now become emotionally involved in the thought. This can be a positive or a negative thought. Your body acknowledges the thought with a feeling. And is it that feeling that your body will project physically to you and those around you. Have you ever been embarrassed and your face has turned red? You could not control it but your body sent the message loud and clear, whether you liked it or not. Your mind controls your body. Now let’s take this one step further. When you are feeling an emotion your body emits a measurable energy. This could be a positive or negative energy. If like attracts like, you will attract back something or someone with the same energy. If you are constantly thinking bad thoughts, you will surround yourself with others in the same vibration. Bad thoughts attract bad things. Have you ever heard misery loves company? This isn’t by accident. On the flip side, have you ever been in a wonderful mood and walked down the street and everyone is smiling at you? That wasn’t by accident either. You attracting what you were emitting, positive energy. And people love to be around positive people. Now imagine the possibilities in your life if you focused on one thought, one goal, ahead of any other thought. What results would you be producing? Take a look around you. What have you attracted? What messages and signals is your body sending that you are ignoring?